I’ve been interested in the question of talent in the public sector for some time. I think there’s something of a talent crisis across the sector, not because there isn’t enough of it or the right mix (although there are real challenges on both those fronts I suspect), but because I suspect we don’t use the talent we have as well as we might. In some ways, this is the worst aspect of the talent crisis…to have plenty of it but to wilfully, and sometimes inadvertently, create the conditions in which those skills, capabilities, attitudes and commitment don’t get the chance to show what they are capable of. Especially in the light of the sometimes pious statements from organisations in the public sector (and other sectors too, for that matter) claiming that their people and their talent are their most precious resource, to see it and them being squandered, ignored or squashed in all sorts of different ways is distressing, not to mention inefficient and careless. I’m aware that talent isn’t the only frame through which to explore the state and prospects for the public service. There are other big forces at play – cultural, ideological, structural and political for example. But the question of talent seems to me to be increasingly important to understand the quality and effectiveness of the public service, in a narrow sense of the “inner ring” of policy and some delivery agencies, as well as of the wider public sector. One of the domains in which this aspect of the talent crisis is especially manifest is the role and work of front line delivery staff, especially in human services – education, welfare and social security, health, aspects of justice, housing. I’ve noticed some recent signs that the way government agencies use – or don’t – the best talents of their front-line staff for innovation, service improvement and policy reform is getting a bit more attention. It’s often wrapped up often in a larger discussion about the persistent imbalance in the distribution of power, authority in the public service between those who work in policy and those who work in delivery. By and large, the argument goes, the public service still privileges in all sorts of subtle and culturally significant ways those who “think” versus those who “do”, those whose task is to write policy papers and Cabinet minutes and be close to the advising role with Ministers and the Cabinet versus those who work at the “moments of truth” when the resulting torrent of contending and often contradictory intentions, ambitions and purposes meets real people and communities. This is a big issue and its roots go further than I will try and follow here. Perhaps we’re still in the grip of the class and cultural framework of the British civil service reforms of the 19th century whose legacy privileges the subtle thinking and elegant penmanship of classics graduate from Oxbridge as the epitome of civil service performance and prestige. A fomer PM&C Secretary, Peter Shergold, in his report into the lessons of failure from the “pink batts” initiative, offer another recent example of a significant piece of analysis which, among a lot of other important insights about what is happening in the public service, drew attention to the risks for government, good policy and trust of the divide between policy and implementation. Along the same lines, Nick Gruen’s “arteries and capillaries” thesis provides an elegant and compelling framing of the same basic dilemma. If you’re a public servant, go into policy because delivery is both lowly and hazardous. Though delivery can be a worthwhile aspect of a developing professional CV, the road to the top is generally via policy. So that’s where the most able and ambitious people go. How do we correct this imbalance between thinking and doing? And how do we do that not just out of some sense of injustice or attempting to restore the pride and significance of the frontline in public policy, but because it is surely now becoming obvious that in the persistence of that divide lies so much that is wrong about the way our policy and “public work” system responds to the opportunities and risks of the contemporary world. The truth is dawning on people in all sorts of areas of public, corporate and civil society work that, in large measure, as former head of the Government Digital Service in the UK, Mike Bracken has argued, “policy IS delivery”. In a digital age, traditional policy-making is largely broken. It is slow, inflexible, unnecessarily complicated, afraid of technology and afraid of change. The cycle of green paper, white paper, draft bill, and secondary legislation is no longer the best way to decide to create or develop new services because user needs are given scant consideration, however necessary the process may be for Parliament. [Note for another time: I’m taken by the crisp and bracing simplicity of the Bracken critique, which his Minister, Francis Maude, also wielded frequently in his pursuit of a more responsive and “agile” public service; but I suspect policy is and always will be more than delivery. It’s just that, as both Bracken and Maude kept pointing out, the absence of a central and urgent focus on people, impact and execution at the heart of policy making, especially in the digital age of connectedness, transparency and speed, risked a process getting lost in elegant whorls of self-regarding critique and clever, but pointless analysis]. I take these observations as a sharp reminder that policy making – or strategy formulation if you are in the private and not-for-profit sectors – has to be not just informed by, but substantially led by the kinds of insights information and ideas about your customers (or citizens) and their needs and values and aspirations that can only emerge from a determined and forensic attachment to the knowledge of and from the field, or the front line. The reality facing many public servants, especially those whose work and skill is forged in the heat and struggle of quotidian frontline service delivery, is to continually be either discounted or ignored altogether. That risk was reinforced by this recent article titled “why bureaucrats don’t seem to care”. Written by Bernado Zacka reflecting on an 8-month “observatory” project working with front line workers at an anti-poverty agency in the north-eastern United States, the piece offers some telling insights into the talent crisis in at least some aspects of our public work. Zacka goes on to describe that, while he worked there, he learned “that the routine of everyday work at the front lines of public service is not quite what it seems from the outside.” “It is neither as simple, repetitive, nor rule-governed as one might believe,” he goes on and concludes that “if frontline work is soul-sucking, it is less because bureaucrats must mechanically apply rules than because they must shoulder, day in and day out, the weight of difficult discretionary decisions which most people have the luxury to ignore. It is not that rules are absent; on the contrary, they abound. But they are often sufficiently ambiguous that they lend themselves to various plausible interpretations, or so numerous that they conflict with one another. When this is the case, bureaucrats must exert independent judgment to figure out what to do. If they were to stop doing so and adhere religiously to the scripts provided to them, public-service agencies would come to a halt. Empowering in one respect, it elevates bureaucrats beyond the tedium of applying rules, and imparts gravity to what they do. Yet it also makes them complicit in the shortcomings of the system they embody, for they become implicated in it not just as operators, but as thinking and reasoning agents as well. With this comes a more acute sense of personal responsibility. And what about the young mother who has just fled an abusive relationship and is asking you to refer her to a shelter? The only one you could find is on the other side of the city from where her mother, whom she must also care for, lives. If you were to pick up the phone and make the rounds again, you might, just perhaps, be able to find something closer. However, it’s almost the end of the day and there are mountains of paperwork left to tackle so that benefits can actually be processed. What’s more, your boss has already told you that you shouldn’t prioritize domestic-violence cases because other centers specialize in them. If you set a precedent, who knows how many others you’ll have in the future. Do you grab the receiver or move on to the next person? In cases such as these, frontline workers are forced to choose between an option that is bad and one that may be even worse. They have to make such difficult decisions, moreover, in view of the very people who will suffer the consequences, and watch as disappointment and despair color their faces. 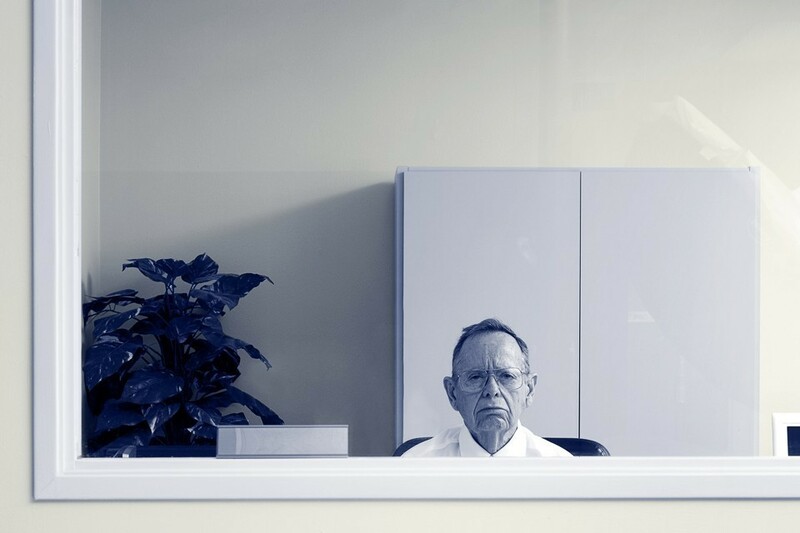 The clients bold enough to vent their frustration might prefer to direct it at their elected representatives, but in that moment, the only person they can scold is the one in front of them: the bureaucrat. I liked the movie and, like most people I’m sure who have seen it, came away fuming at the indifference of “the system” and the callous disregard those frontline staff seems to evince for the Daniel Blake’s Kafkaesque dance with a system almost demented in its desire to confuse and delay. Yet if Loach had taken his camera across the counter, trading the perspective of claimants for that of bureaucrats, he would have found anguish there as well. The personal tragedies that result from public-policy choices—the clients who fall between the cracks; those who need help but cannot get it—are incidents that ordinary citizens might have the luxury to ignore. For frontline bureaucrats, however, this is the stuff of everyday work. In a democracy, these bureaucrats make hard decisions in the name of citizens so that the latter do not have to. These observations reinforce two insights about dimensions of the talent crisis in the public service. One is that frontline service delivery staff confront delicate, morally nuanced and intense choices that require exactly the kind of discretion and judgement we would normally assume is reserved for policy makers. Delivery and frontline staff are just supposed to, well, deliver. They aren’t supposed to think (I know I am overstating the case a little but to make a point). The truth, as Zacka points out, is that in the process of handling these kinds of poignant, demanding human dilemmas, frontline staff hone a set of skills and capabilities which, at their best, should be turned into a stock of talent that ought to be not just ‘feedback” or “consultation” fodder for the ensuing debates about policy reform and design, but valorised at its very heart. Back to I, Daniel Blake for a moment. Is it remotely realistic to assume, just staying with Loach’s lopsided but pungent critique, that the Whitehall policy wonks responsible for the rules and regulations of a system those front line staff were expected to implement, within increasingly stringent constraints of performance and “outcome” targets and measures, might start their subsequent rounds of policy development not with an elegant minute to the Minister or a round table convened by a think tank, doubtless with a few well chosen specimens of “lived experience” to add to its air of authenticity, but with an anthropological intent to learn more, much more, about the way in which their policy actually met the street? Is it remotely possible that the frontline staff, and Daniel Blake himself (save for the unfortunate fact that the whole process concluded with a heart attack in the toilet of the department’s offices where his case was being “reviewed”), might be considered to be sufficiently “expert’ – holding as he did a stash of knowledge and insight about how things actually worked, or didn’t – to be placed at the front or centre of the policy process? It’s good to see the blooming realisation of the power of the front line and a new understanding of the deep symbiosis that needs to obtain between thinking and doing in public policy and the work of the public sector. But might it not, too, fall prey to its own version of piety. The commitment to “listen to our people” and to “include the frontline” in the deliberations of policy making and approaches to innovation and reform isn’t always borne out in practice. My sense too often – and I admit it’s anecdotal evidence picked up in my daily interactions across a range of different agencies at the federal and State level – is that frontline staff are still often marginalised and discounted as legitimate players when it comes time for policy heavy lifting. The policy “profession” as the UK like to describe it can seem incredibly impervious, hostile even, to the notion that delivery people might be possessed of insight, expertise and knowledge of sufficient weight and measure that it should not just be taken as an “input” for their lofty and impervious deliberations, but that it might actually be the essential starting point for, and provide the real measure of, their work and its value and impact. In fact, it strikes me that the whole idea of creating a distinct “profession”, however well intentioned, runs the risk of reinforcing the very instincts of exclusion and elitism that are inimical to the best use of talent and skill wherever it might be lurking. I’ll conclude with a story from Nick Gruen’s “arteries and capillaries” treatment. In this comment, Nick reflects on experience from The Australian Centre for Social Innovation’s work with one State Government on child protection and family thriving (Nick was Chair of TACSI until recently and I am a director. The government and/or its bureaucracy had, some years previously, sought to increase reunifications between children and families they’d previously been removed from to protect the children’s’ welfare. Doing this is a high skill activity. And those skills can’t be learned without careful, deliberate attempts to do so in the field. How did the initiative work out? Well there’s the good news and the bad. For the most part, the policy simply wrought further damage on already very damaged lives. Around 70% of the reunifications failed. But one unit turned this around to an 85% success rate — saving the state many millions of dollars in future liabilities and alleviating much suffering. But that good news went unnoticed by those at the top who subsequently disbanded the high performing unit — which presumably contained the seeds of a potentially successful state-wide reunification program — to meet new priorities. This disconnection between frontline staff and policy people has serious consequences on public’s inability to engage meaning fully with either frontline or policy staff and amplifies the plummeting respect or trust in rapidly distancing inaccessible and remote politicians. Completely agree Marcus – the connection back to these basic structural conditions – trust, legitimacy, agency – seems to often to be missed. The persistent problem of course is the tendency to assume all “bureaucrats” approach their work in the same way. We’ve both seen a terrific change in the types of personalities now emerging at the head of State Governments yet corporate attitudes and approaches still vary widely across departments. The opportunity for me lies in creating a new way of assessing “what success looks like”. In risk averse and complex organisations, it’s so easy to reward safe behaviour, where often doing nothing is seen as a viable strategic step. As the world changes around us, I’m not sure that’s true anymore. This new digital age, where open source technology is increasingly decentralising the policy design process, has much to offer in terms of providing new policy insights and taking citizen engagement to the next level.